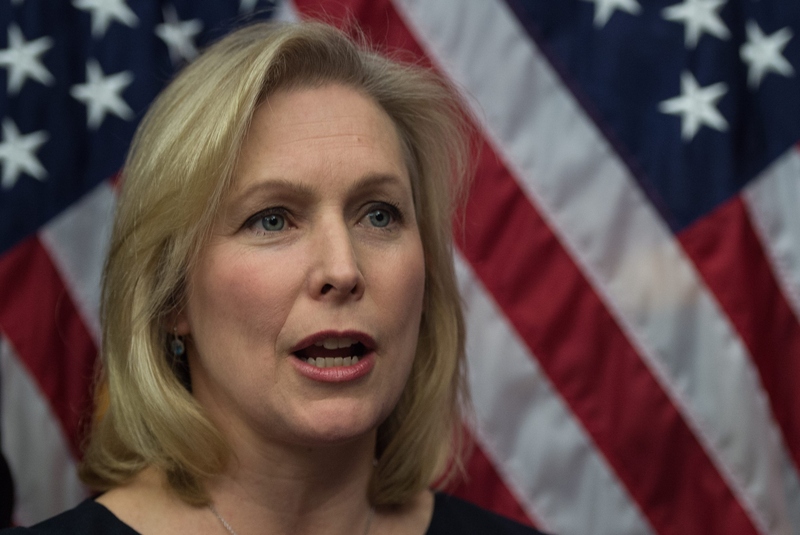 FORT DRUM, N.Y. — U.S. Sen. Kirsten Gillibrand says she is ruling out a run for president in 2020 because she's "focused entirely" on running for re-election next year. The New York Democrat told cable's Spectrum News during an event Monday at Fort Drum in northern New York that she's "dedicated to serving our state as our senator" and is running for re-election in 2018. When asked if she's ruling out seeking the Democratic nomination for president in 2020, Gillibrand replied: "I'm focused entirely on running for Senate, so yes, I'm ruling it out." Gillibrand replaced Hillary Clinton in the Senate in 2009 and easily won re-election in 2012 by defeating Republican Wendy Long. Gillibrand has been regarded in recent years as a potential presidential candidate. Gillibrand previously served in the House from 2007 to 2009. Her response was similar to the answer she gave in February during an interview on John Catsimatidis' "The Cats Roundtable" on AM 970 in New York. "No, I am running for Senate," she said. "I'm running for Senate in 2018." "I really love my job and I feel like I can make a huge difference for New Yorkers, fighting for them," she added.